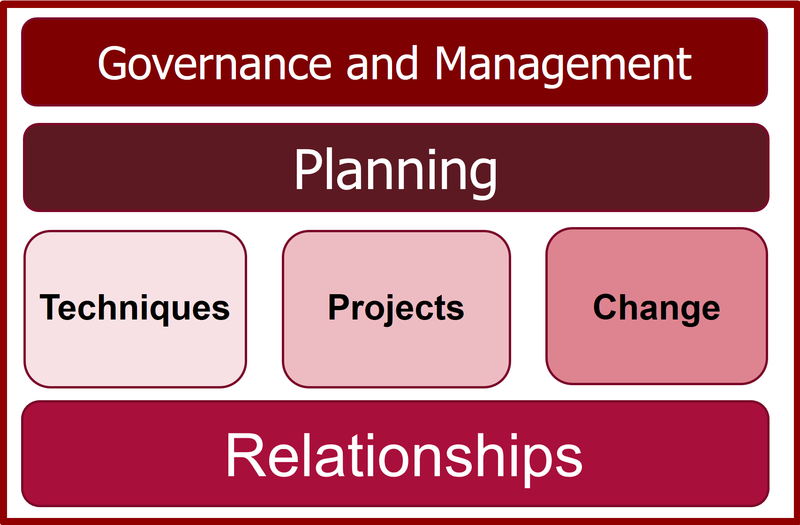 Effective governance and management is central to the development of a business analysis centre of excellence. Project participation overlaps with all the other areas in the above model of a business analysis centre of excellence. Each of the areas our model will be refined on the basis of project experience. Change management is at the heart of a business analysis centre of excellence. It overlaps all the other areas in our model. Relationships include the structure of the business analysis organisation as well as its relationship to other organisation units within IT, the business units and with external suppliers.